Places to visit in Taichung 1: 台中彩虹眷村 | Rainbow Village. 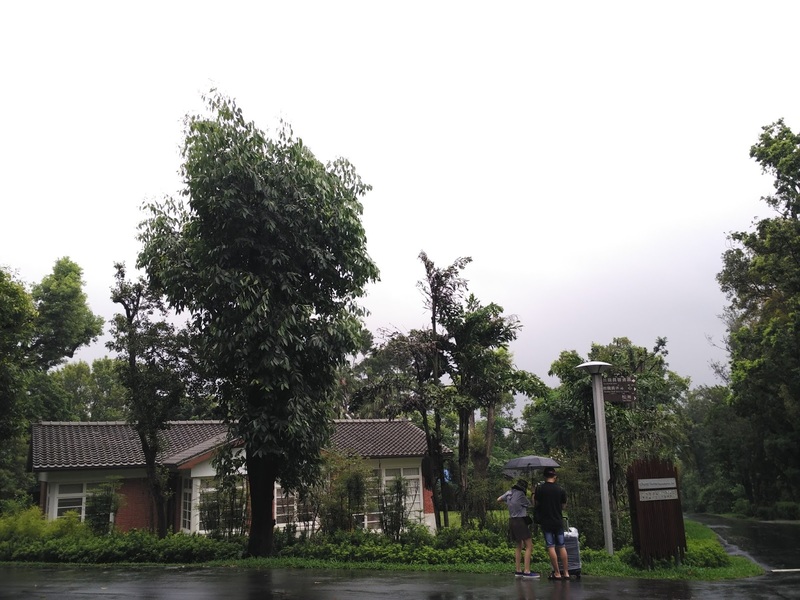 Some of you might question that how extraordinary of this university until it becomes a must-visit place in Taichung? 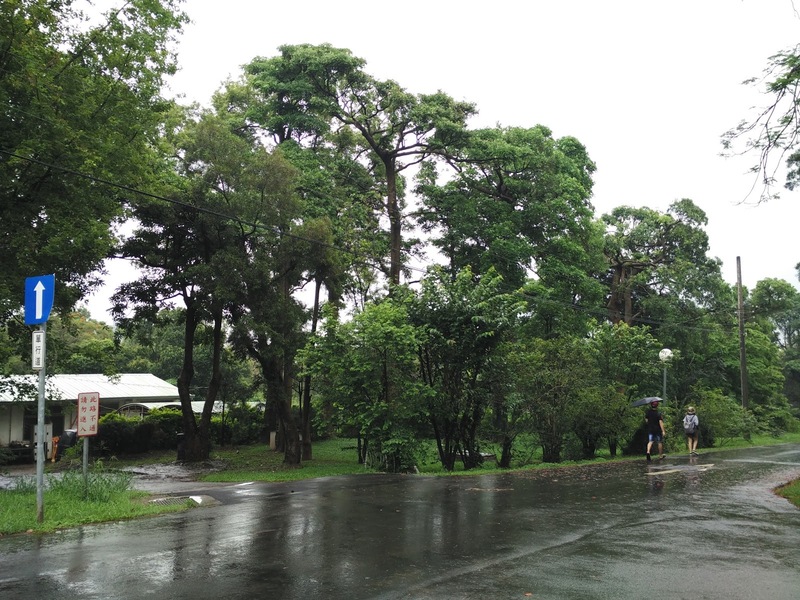 In facts, it is the first private university and the second oldest university in Taiwan. 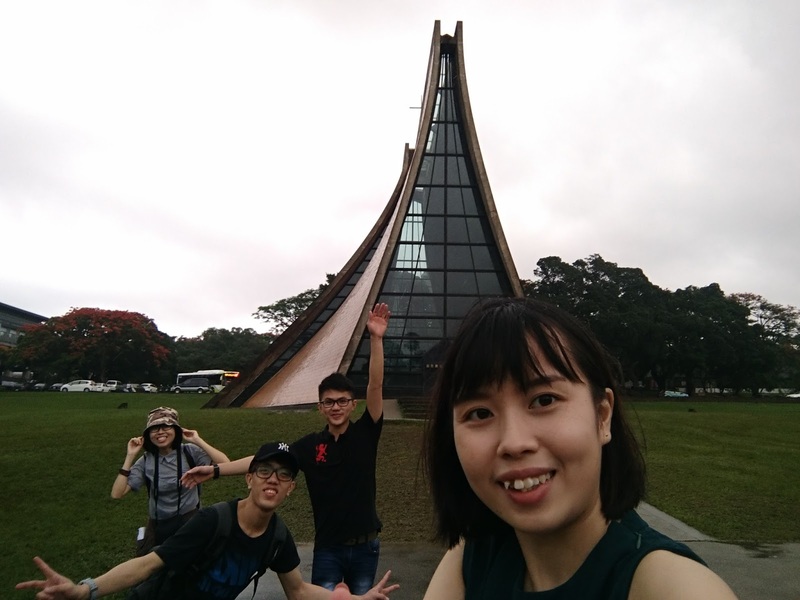 Was founded by Methodist missionaries in 1955 as a comprehensive Christian university, Tunghai University is considered as one of the beautiful and large universities in Taiwan. Stepping into the campus, the tranquil environment and lush greenery with fresh air gave us a relax and peaceful mind. Their concrete buildings with good architecture were built in last decade and these buildings are photogenic enough for a retro shoot. 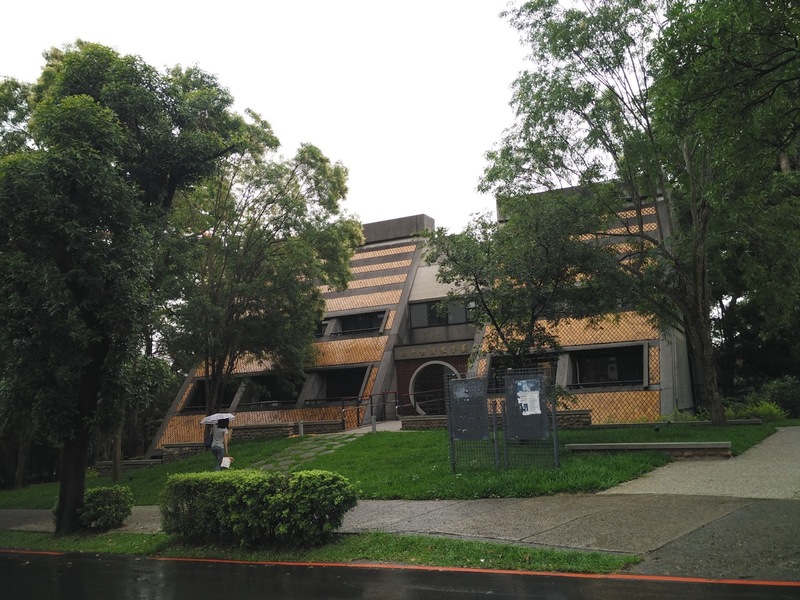 The buildings in the campus are modelled after the architectural style of the Tang dynasty. Not many photos for Tunghai University as we were busy searching for Luce Memorial Chapel haha. 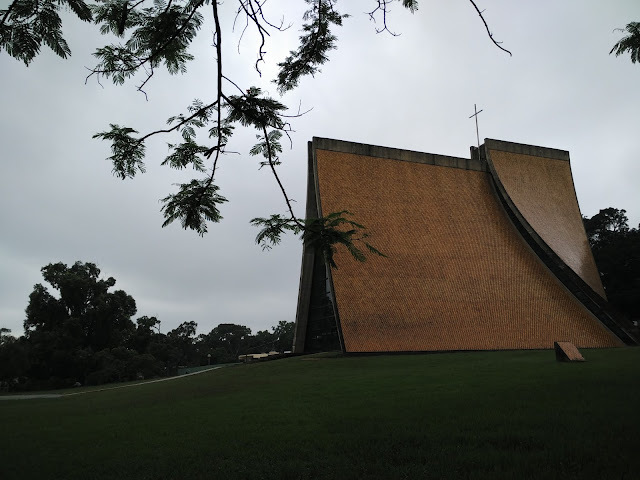 So let's proceed to the signature of Tunghai University, Luce Memorial Chapel 路思義教堂. 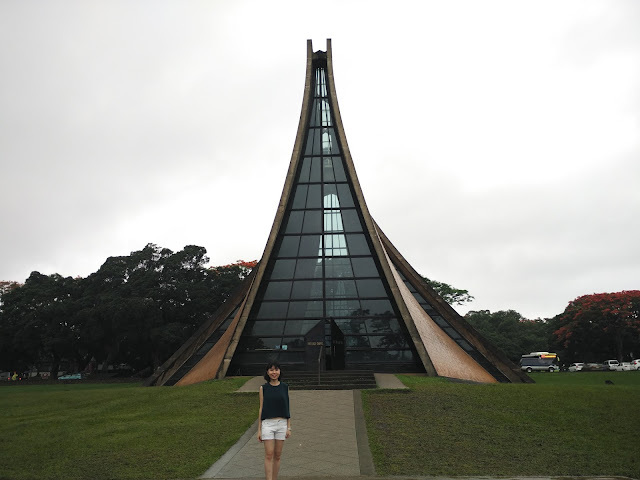 Luce Memorial Chapel will definitely the landmark for Tunghai University. It was designed by noted architects Chen Chi-kwan and I. M. Pei and the unique design of the building made it be well-known in Taichung. I was standing at the side as a guard for our luggage while waiting for partners to take their photos. 😂 The building was really special and spectacular. Since the rain was getting heavier, we gave up the solo photo and decided to settle it fast by taking this random and messy welfie. Haha pity us. 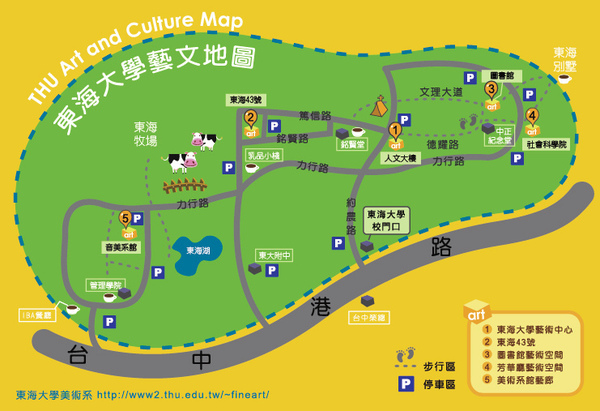 The next station in Tunghai University will be 東海大學乳品小棧, a place where students process and market their dairy products. We reached there by referring the map within the university and hunt for direction from students that passed by. 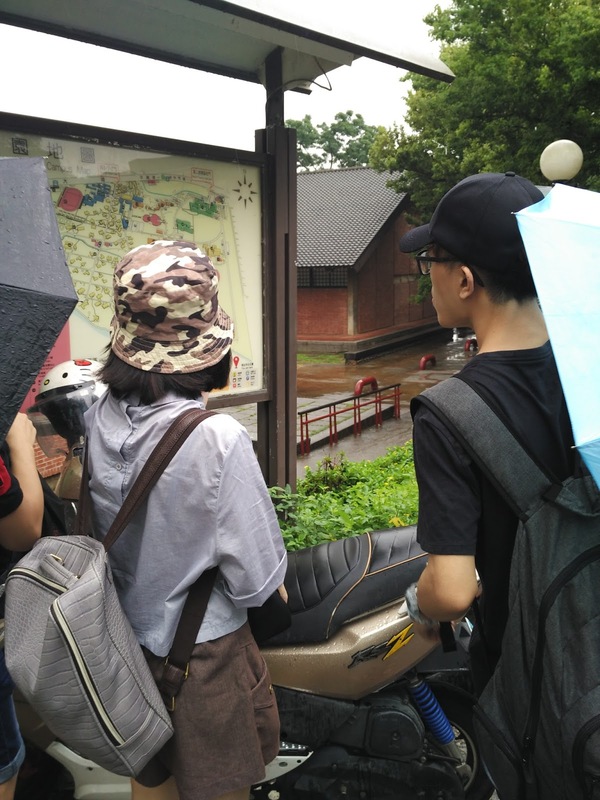 To be honest, 東海大學乳品小棧 is not an easy-reaching place so it's better for you all to ask the local students for its exact location first. The cute shop for us to purchase their self-made dairy products. Ice-cream, milk, chocolate milk, yoghurt, candy, snacks and many more. I tried their pure milk ice cream and it was smooth and tasty. Worth-trying! 東海大學乳品小棧 is operated every week day (Mon-Fri) from 8.00am to 6.15pm and 8.00am to 4.45pm for weekends (Sat to Sun). I had attached a simplified map here so you guys can at least roughly know which direction to go.